From Ladbrokes, this Eurovision 2013 Bingo Card s a bit of fun that you can all enjoy, especially if you are having a Eurovision Party. 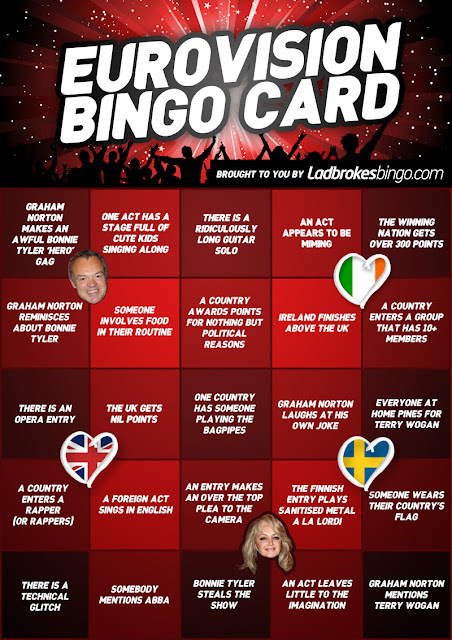 Have a great Eurovision everyone, Let me know if you get a full house. Ha ha ha, this is superb.